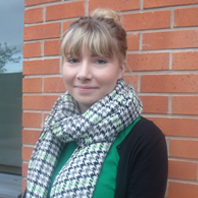 "As well as opening doors at First Response Finance, the whole experience at Derby College gave me independent learning skills and helped me to mature to be ready for the workplace." Former A level learner Shannon Riley is convinced that work experience is a crucial part of sixth form education. She has clinched a full time sales support role at Chilwell-based First Response Finance after gaining valuable work experience at the company as part of Derby College’s innovative Employer Academy programme. Former Aldercar pupil Shannon studied Sociology, English and Business A levels at the Joseph Wright sixth form campus and applied to be part of the First Response Business and Finance Employer Academy and activities included specialist workshops to help with study programmes and to help learners gain employability skills. She and fellow learners also completed work experience programmes and, after completing her studies, was invited for an interview.